Up to 7 days battery backup before adding solar! 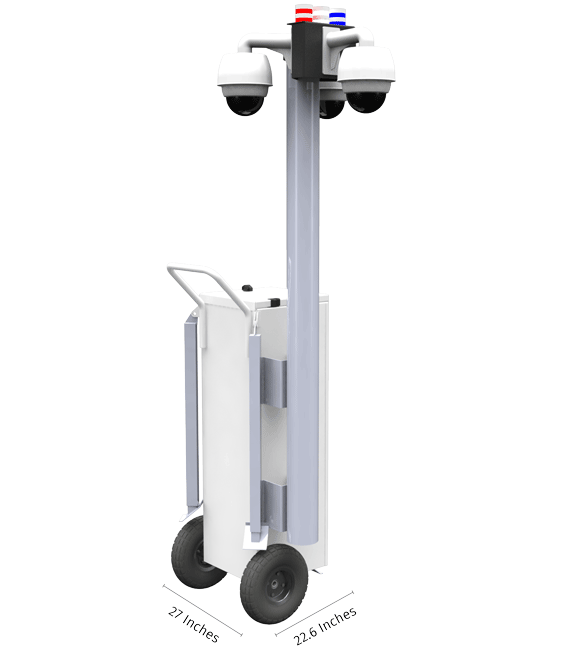 Vorp Energy’s Mobile Guard is the only Rapid Deploy surveillance solution that can be easily installed by a single person. Ideal for Events and Construction sites, this system also serves as a valuable force multiplier for law enforcement officers and other first responders. Paired with a Cellular Gateway, the Mobile Guard lets you easily view video from anywhere in the world. 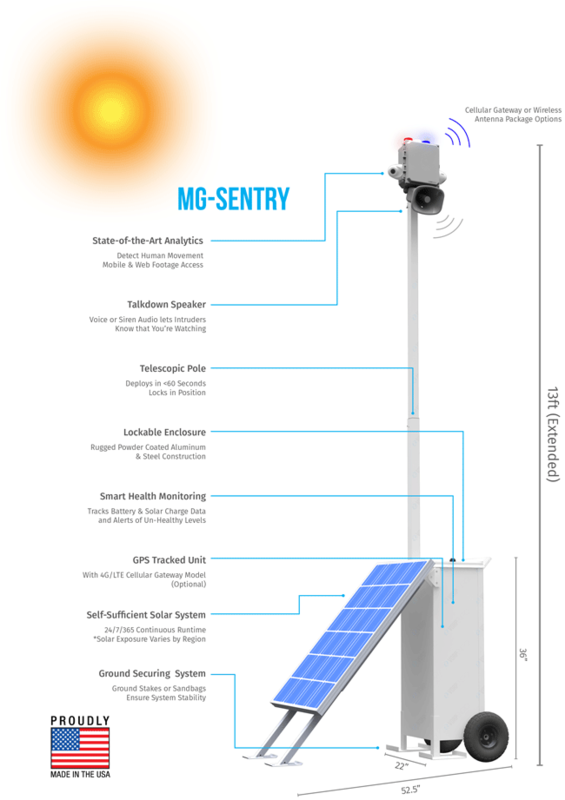 The Mobile Guard is a complete surveillance station integrated onto a rapid deploy platform. 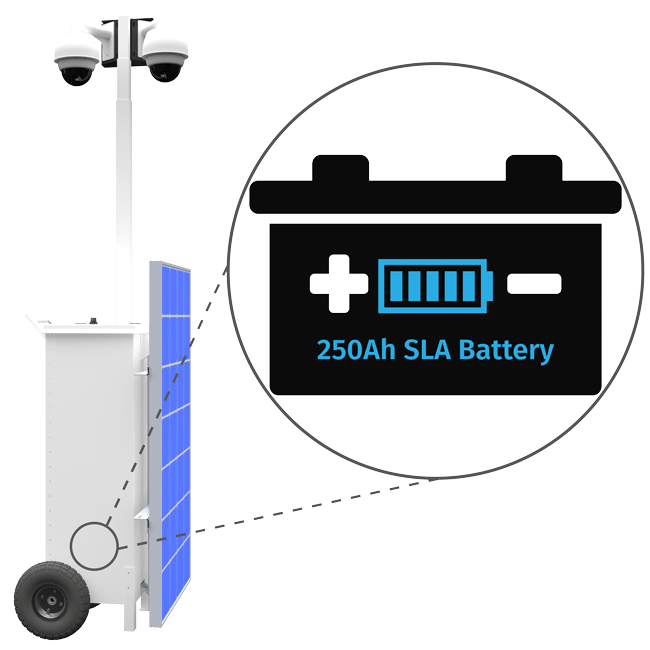 The system comes standard with cutting edge Mobotix cameras and analytics software, remote cellular access via authorized smart devices, and 7+ days battery backup. An optional solar panel (sold separately) can extend deployment times indefinitely* (varies by deployment solar zone). A 250Ah Sealed Lead Acid (SLA) Battery keeps cameras powered for up to a week. If a longer deployment is needed, the Solar Option will extend run-time (Solar Power varies with Location). 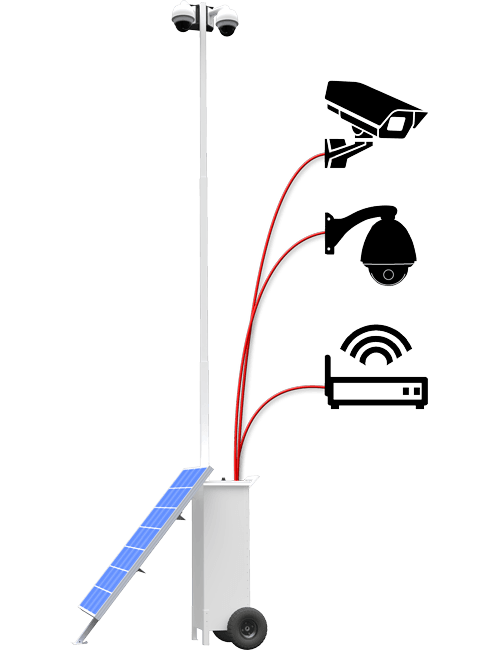 A single person can deploy the Mobile Guard system in a matter of minutes. 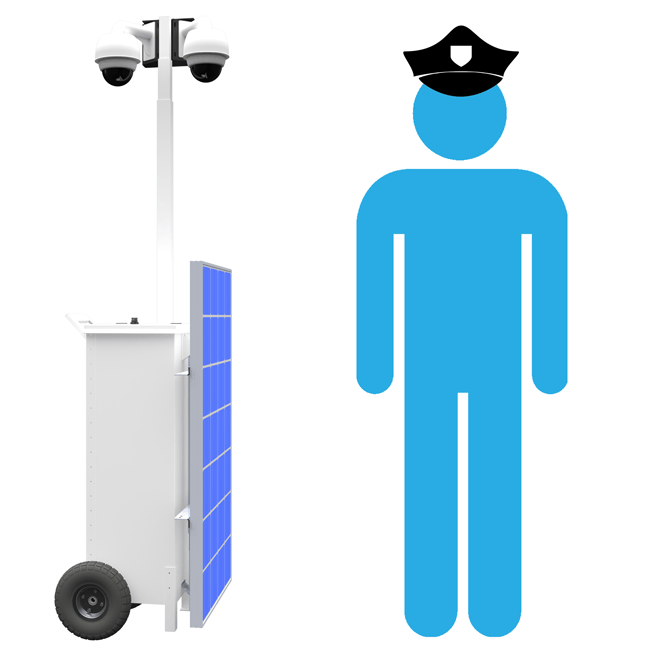 Add Mobile Guard units to your next event for an easy yet subtle security upgrade. Power any PoE communications equipment and a PoE IP Camera. Who uses Vorp Energy Solutions?